The evening explores each couple’s first meeting, the ups and downs of their marriage, their split, and the surprising perspectives on life after divorce. In these alternately funny, devastating and revelatory performances, the four actors are the conduits of their parents’ stories and, inevitably though sometimes inadvertently, also of their own experiences of family division. This provocative show reveals the stories behind the statistics of one of the most prominent social phenomena of our time. In order to further explore the widespread phenomena of divorce in the modern world, The Civilians and WNYC have partnered to continue the conversation online through WNYC’s Culture Page. Visit the site to tell your own stories and share your thoughts! The Civilians is an investigative theater company led by founding Artistic Director Steve Cosson dedicated to creating new work. Projects often combine aspects of journalism with a creative process, with artists engaging directly with the real world through interviews, community residencies and other experiences. 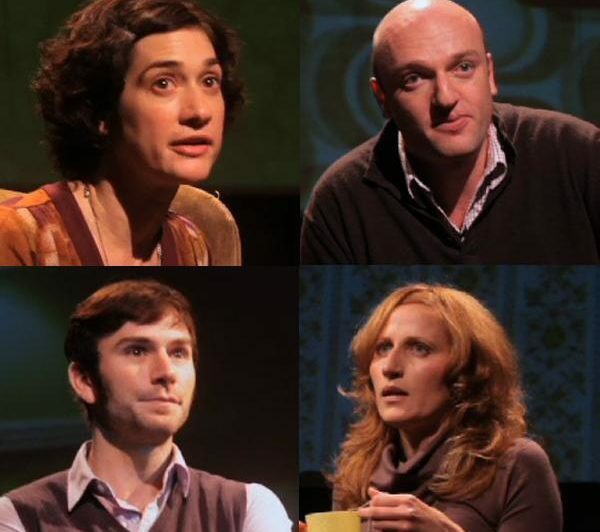 Since its founding in 2001, The Civilians has supported the creation of ten original shows —Canard, Canard, Goose?, The Ladies, Paris Commune, Gone Missing, Way to Go!, (I am) Nobody’s Lunch, Shadow of Himself, This Beautiful City, Brooklyn at Eye Level, and You Better Sit Down: tales from my parents’ divorce. The Civilians’ projects have been produced at numerous theaters in New York including The Public Theater and Vineyard Theatre; nationally at Center Theatre Group, A.R.T., La Jolla Playhouse, HBO’s US Comedy Festival, Studio Theatre, and Actors Theatre of Louisville among others. Works by the company have toured extensively to arts presenters and festivals with presentations in over 40 cities nationally and internationally.